If you are at the point in your marriage where the end of the relationship is near, and you are seeking the help of a knowledgeable and compassionate lawyer, you have come to the right place. At Shanelaris & Schirch we have a legal team that is both skilled in litigation as well as negotiation and will work with you to resolve your case as quickly and effectively as possible. The process of divorce and legal separation requires the equitable division of your assets and debts as well as providing for the care and custody of your children. The process you choose for reaching that end result will depend upon many factors. We know that this process is not easy, and if you have children, it is most important to their well- being that the relationship between parents be as civil and child centered as possible. We have a variety of tools available to resolve your case in the manner that is most appropriate for your circumstances. Many cases settle, meaning that the parties reach an agreement on all issues that the Court requires be addressed. Those agreements can be reached through negotiation, mediation or the collaborative process. However, in some cases an agreement is not possible, and the Court must make the decision. Regardless of how your case proceeds, our attorneys, through their years of litigation experience and training in alternative dispute resolution, will provide you with the help you need to get your divorce or legal separation finalized. Not sure whether a divorce or a legal separation is right for you? Give us a call and we can explain the differences help you to navigate the process to allow you to make the best and most informed decision for your family. In New Hampshire, custody of children under the age of 18 is referred to as “parenting rights and responsibilities.” Parenting issues are governed by NH RSA Chapter 461-A. There are some times when it may be important to limit a parent’s contact with his or her children including domestic violence issues, child abuse and neglect and use of drugs and alcohol that present a danger to children. In any case where there are minor children, parents must develop a parenting plan for their children. The lawyers at Shanelaris & Schirch can help you develop a parenting schedule that works best for you and your children and to help you maneuver through the complexities of the law. Putting children first is a priority when parents separate and we know how important this is for every parent. Our lawyers are very experienced in assisting parents who are in agreement with the parenting time with their children, as well as assisting those parents with difficult situations where children may be in danger from another parent’s actions. We can assist you in developing an effective parenting plan that puts your children first, keeps your children safe and provides you with peace of mind so that you can focus on what is important to you – your kids. Child support is calculated through the use of a formula known as the child support guidelines. The child support guidelines are used to determine what the proper amount of child support should be in every case where there are minor children. There are a variety of factors to determine which parent will pay child support to another parent, how much support will be paid and for how long. In general, one parent must pay child support to another in any case in which the parents are no longer living together in the same household. The court calculates the amount of support using the child support guidelines according to a percentage of the parties’ combined monthly gross income. In July 2013, the New Hampshire Legislature made many important changes to the child support guideline calculation statute which, among other things, changed the percentage of child support a parent will pay based on the incomes of the parties. Calculating child support can be complex, especially when parents are self-employed. There are also reasons why the court may make adjustments to the child support calculation and lower the amount a parent pays. Certain special circumstances may also warrant the court ordering a lower amount of support for qualifying parents. The attorneys at Shanelaris & Schirch can help parents during the process of establishing, modifying and enforcing court orders for child support. Our attorneys can help you navigate the child support process in New Hampshire as well as interstate child support issues and foreign child support orders issues. Alimony, or spousal support is the tool that the Court will use in a divorce or legal separation to help a spouse become self-sufficient. In New Hampshire, alimony is based on a number of factors including the spouses age, health, ability for gainful employment, sources of income, length of the marriage and others. The Court can consider many factors when making an alimony award. Unlike child support, there is no special formula for alimony; rather, the Court must make a determination that one spouse is in need of alimony and the other spouse has the ability to pay alimony. The issues surrounding alimony including whether alimony should be paid, how much alimony and how long it will last can be some of the most difficult issues to resolve, and often requires a skilled attorney to help you assess whether and to what degree alimony will be a factor in your divorce or legal separation. The court is required to divide real and personal property between a couple. Parties may, by agreement, divide their real estate and personal property in any way that is agreeable to them. In New Hampshire, when a couple is married, all property is considered part of the marital assets that the court will need to divide. Once a couple is married, all assets are considered joint, even if an asset is only in one parties’ name. One extremely difficult decision during a divorce is who will be permitted to stay in the parties’ home and how that home will be paid for. For divorcing parents, this is particularly a difficult financial and emotional issue. The lawyers at Shanelaris & Schirch can provide you guidance and assurances in what may be best for your family. Upon a divorce, in general, the division of the parties’ assets and debts cannot later be modified. It is extremely important for any person getting a divorce to seek the legal advice of an attorney as to what that person may be entitled to in the event of a divorce. The attorneys at Shanelaris & Schirch have nearly 45 years of combined experience to assist you in keeping your assets. Divorce law does not apply to unwed couples, however the lawyers at Shanelaris & Schirch can assist any unmarried individual to retain or obtain his or her property in the event of a separation from a partner. If you or a loved one has been subject to violence, or if you have been unfairly threatened with a restraining order, Shanelaris & Schirch can help you. With extensive experience in both the practice of law and in working with domestic violence issues, Shanelaris & Schirch can help you to navigate the restraining order process and to advise you on the best options for your unique situation. It is crucial to have legal representation in these matters, as domestic violence proceedings may result in criminal charges or additional legal action. If you have been injured, falsely imprisoned or threatened by a household member, or by a current or former partner, you may be able to obtain a Domestic Violence Protective Order. The law protects you from abuse, and does not require you to file for divorce or pay court fees in order to obtain protection. A judge can provide emergency protection under this type of order, and can also make orders regarding child custody, use of personal property and use of the family home. If you have been accused of domestic violence, Shanelaris & Schirch can help you preserve your parental rights, and save your reputation. If someone else’s repeated behavior has made you afraid for your personal safety, the court may issue a Stalking Protective Order to make the behaviors stop. Even if you have been followed or contacted as little as 2 times, you may be able to seek a stalking order if those behaviors have made you afraid for your safety. The stalking law does not require any particular relationship between parties; therefore, it could be a virtual stranger against whom a stalking order is sought. If someone has filed a stalking petition against you, you may face serious consequences, as stalking can be a misdemeanor or a felony level charge. Call Shanelaris & Schirch immediately to discuss your options. When a parent wants to relocate his or her children to another school district, another town or another state, the moving parent must seek the approval of the other parent before the relocation of a child’s residence can occur. Prior to relocating the child’s residence, the moving parent needs to provide reasonable notice to the other parent. Under New Hampshire law, 60 days’ notice is presumed to be a reasonable time for notice. If the parents cannot agree on whether a parent and child can move, the moving parent must file a request with the court to get permission to move with a child. Relocation cases are not easy and often represent the most difficult parenting disputes. There are many factors for the court to consider in allowing a parent to move with a child. Before relocating with your children, it is important to seek legal advice before plans are made to purchase another home, relocate a job or move the child to a different school district. The lawyers at Shanelaris & Schirch have been assisting parents with relocation issues for many years and have been successful in both securing permission for a child to move as well as defending against a request to relocate a child’s residence.immediately. In the state of New Hampshire, Grandparents have the right to petition the Court to allow them visitation with their grandchildren in certain circumstances. The Grandparent Visitation statute, set forth in RSA 461-A:13 provides a grandparent with the ability to pursue an order for visitation rights only to those grandparents who have had access to their grandchildren restricted as a result of the absence of a nuclear family. 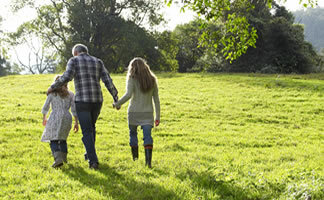 Our courts have recognized that when a nuclear family is disrupted, by divorce, death, or the termination of a parents’ rights, the State has the authority to step in and enter an order that protects the relationship between grandparent and grandchild. If you have been denied access to your grandchild, call our office and we will assist you in examining the options available to reestablish this most cherished relationship. There are times when a parent is not able to properly care for a child, or an individual cannot care for themselves. In those circumstances sometimes it is necessary to intervene and have the Court appoint another person as Guardian to make all the decisions for the child or individual. The Guardianship process can either be voluntary and agreed upon by all parties, or it can be contested in which case it will be up to the Court to make a determination if a guardianship is necessary. At Shanelaris & Schirch our attorneys have been involved in both contested and uncontested guardianships and will work with you to navigate this sometimes uncertain process to ensure that your loved one is kept safe. There are some children that have been abandoned by their parent and have not had contact with a parent for long period of time. There may also be times when a parent has committed an act of violence or abuse to a child or that child’s other parent that calls for their parental rights to be terminated. The termination of a parents rights over their child is not to be entered into lightly, and is not an easy process. Our Supreme Court has found that parents have a constitutionally protected right to raise their own children. There are strict legal factors that must be met before a termination of parental rights will be allowed by the Court. Sometimes termination of parental rights is necessary in order for a stepparent to adopt their stepchild. We have the experience and compassion to assist in the process so that your child can be fully supported by a caring parent. Prenuptial agreements are contracts that couples enter into before marriage to make an agreement about their personal property, real estate and belongings before they are married so that in the event of a divorce or death, there is a prearranged agreement about the division of the assets and property. Postnuptial agreements are contracts that couples enter into after their marriage has taken place to also divide real and personal property in the event of divorce or death. Not only do prenuptial agreements force people to consider the financial ramifications of marriage, but they also greatly reduce conflict in the event of a divorce. Typically, when couples have signed a valid prenuptial or postnuptial agreement, there will be less conflict in dissolving the marriage which lowers the financial and emotion burden to both parties and their children. Once the Court has issued an order, or the parties have reached an agreement, there are times when one of the parties does not comply and an action to enforce the order may be brought before the Court. These cases can also be called “Contempt actions”. If a person is found to have violated the court order, the Court can take action to require compliance with the court order, including ordering the payment of legal fees, taking the sting out of having to go back to Court. Some court orders can be changed or modified if circumstances change after the Order is issued. Sometimes, however a court order cannot be changed. It is essential that if you feel that you cannot comply with a court order you seek out legal advice to determine what action can be taken and whether your court order can be changed. Maybe you have lost your job and can no longer pay the child support the Court has ordered, or maybe your work schedule has changed and the parenting schedule you have no longer works. Whatever the circumstances, it is important that you get some advice before filing anything with the Court. We can assist you by providing with you with options and practical advice to help you determine the best course of action for your situation. The court system is not always the best place for parties to resolve their issues. Mediation can provide an alternative way to resolve disagreements over parenting concerns, child support and other financial issues. Mediation is a process that uses an independent, objective person as a mediator to assist the parties in negotiating a fair and acceptable agreement. Mediation is confidential and private and provides a safe environment outside of the court room to help the parties to reach a resolution to their disputes. The mediation process can be less costly than using the courts and allows both parties the opportunity to be heard. The mediator listens, helps the parties find creative resolutions to their issues and often greatly reduces the tension that the court process can create. Mediation allows the parties to have control over the result of their case rather than having a judge made the decision. The lawyers at Shanelaris & Schirch are trained to serve as mediators who can facilitate a resolution for you. We can also represent you to prepare for your mediation and be there with you during the mediation process. Call us to discuss mediation – we want to work with you to find the most cost-effective and best resolution for you and your family. Collaborative Practice is a voluntary, client centered process to get divorced respectfully without going to Court. Collaborative Practice in New Hampshire uses a team approach. The team consists of lawyers, coaches and financial professionals to assist the family in reaching a mutually agreeable solution. The team strives to provide clients with the support, information and structure they need to reach agreements that are voluntary and of maximum benefit to the family.